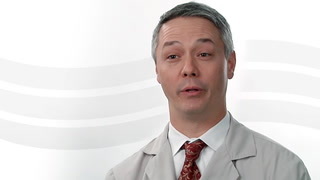 My goal is to treat patients in a minimally invasive way so that recovery is faster. 847.570.1700 847.733.5297 fax Get Directions This location is wheelchair accessible. I went through a number of tests, procedures and operations in 2018. I greatly appreciated working with Dr. Ujiki during the entire process. Very satisfied with the North Shore University Medical Group and all of the doctors, PA's, Nurses, Technicians and support staff I have dealt with over the last month. "Excellent doctor," sensitive, caring, confident in his practice. I have recommended *Dr. Ujiki many times. He is an asset to your practice. *Doctor Ujiki is a professional in every sense of the word. I have a tremendous amount of respect and gratitude for him because, after all, he saved my life. Developed a hematoma and infection. Don't know who or what to blame. Your info said to continue taking baby aspirin. Sinus surgery I had this week had me stop 2 weeks ago. Would that have influenced the forming of the hematoma? I was told that the prescription I was on for the infection should be taken for another week. I called the office to see which pharmacy I should pick it up since it was prescribed on a Sunday in the ER. Your office person said it was at Walgreen's. I went there and no prescription had been ordered. Had to return the following day. Dr. Ujiki was highly recommended to me and I can see why. He took my concerns seriously and offered me all the options open to me. He left the final decisions up to me and was respectful of my choices and questions. In spite of a busy schedule, *Dr. Ujiki never rushed, he consistently gave his full attention and personal as well as professional care. And he always encouraged me to contact him if needed. He answered email questions quickly. I couldn't be more grateful for my care. Michael Ujiki, MD, talks about 3D printing and the clinical benefits to physicians and patients.